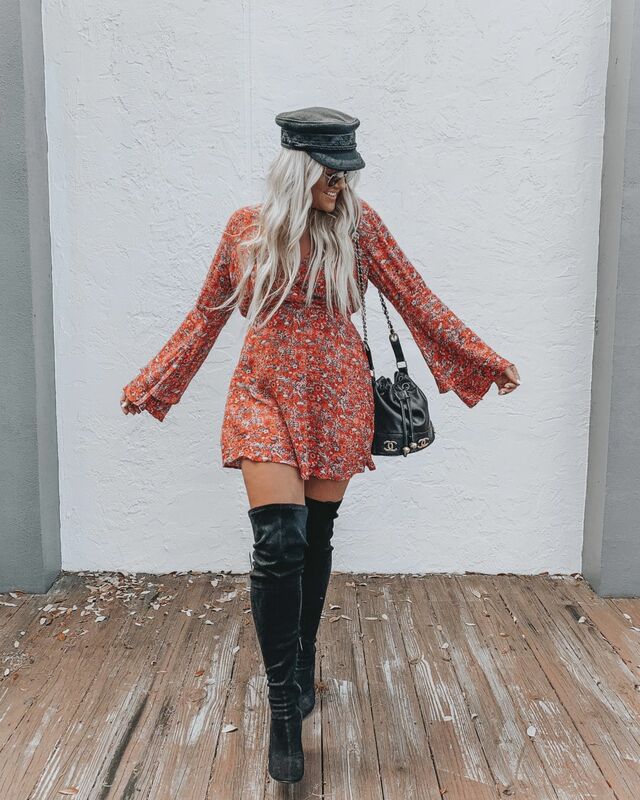 The most inspiring looks our fashion blogger has seen around town. Sarasota is a cool town. 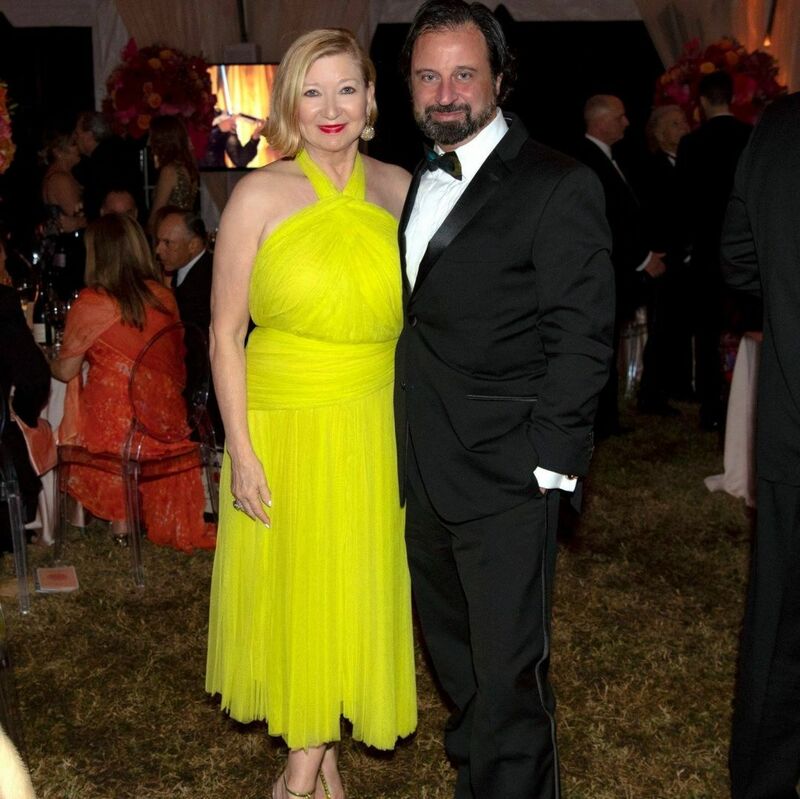 We have a lot of standout fashionistas. And lucky for us, most of them post on social media. To be honest, I wish I saw more of all things beauty and fashion on social media, but I get it—privacy, worries about others thinking you’re flaunting...or you just don’t care about showing others the cool stuff you have. But personally, I love seeing all of the things. I love seeing other people living life stylishly. Bloggers are often interchangeably called "influencers," which I can agree with, but in my opinion, everyone (on social media or not) is an influencer. So I want to share my local favorites in a new series called "Cool Things I Saw People Wearing in Sarasota." This first post is a collection of things I’ve been saving since I decided this would be a feature. Some outfits are a month or so old at this point, some are literally from this past weekend, but from now on, per my own newsfeed and ventures out on the town, I’ll be rounding up the most inspiring fashions that I see each month to share with you here. Anything this woman wears is going to be showstopping/iconic/inspiring/too cool for you to even attempt. On one of our chilly days a few weeks ago, she paired these Gucci slingback pumps with pink Gucci logo socks and I loved it. What’s cooler than being cool? You, Patra, that’s what. The girl has style, the fiercest poses of anyone I know, and I am just really into the fact that Patra had this yellow faux-fur jacket to casually throw on during that one cold week of January this year. I saw Christina sporting this vintage bucket Chanel bag at the Sarasota Modern a few weeks ago and I have to say, I had instant bag envy. Bucket bags are so in right now and this one is total #baggoals. 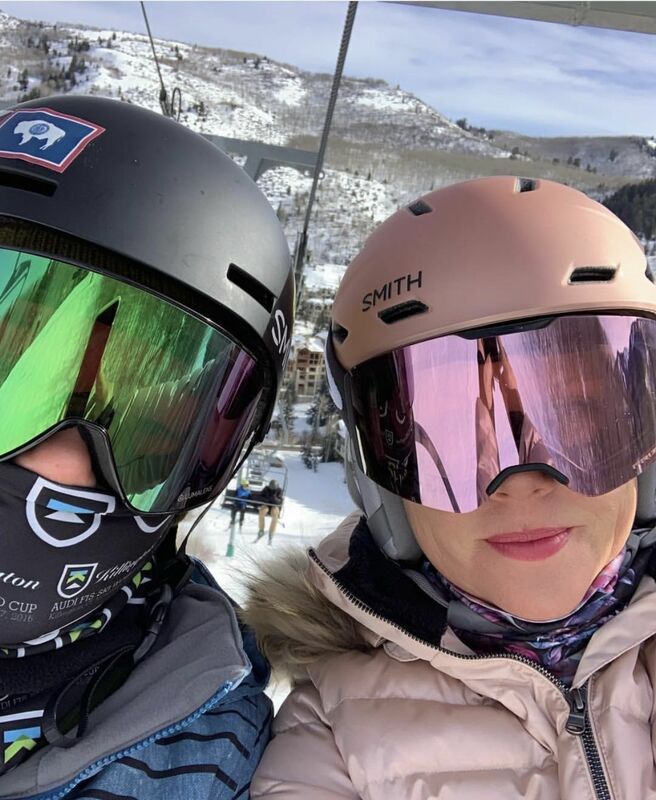 Jamie vacationed in Beaver Creek this past week with her family and I just love how she styled herself for the slopes—the pink jacket, pink goggles and helmet—and to pull it all together, the matching lip. “Brings a new meaning to 'rose all day,' right?” Jamie says. OK, so Blair may not live in Sarasota full time, but I’ve decided she counts as one of our resident fashionistas. And can you even believe this outfit?! 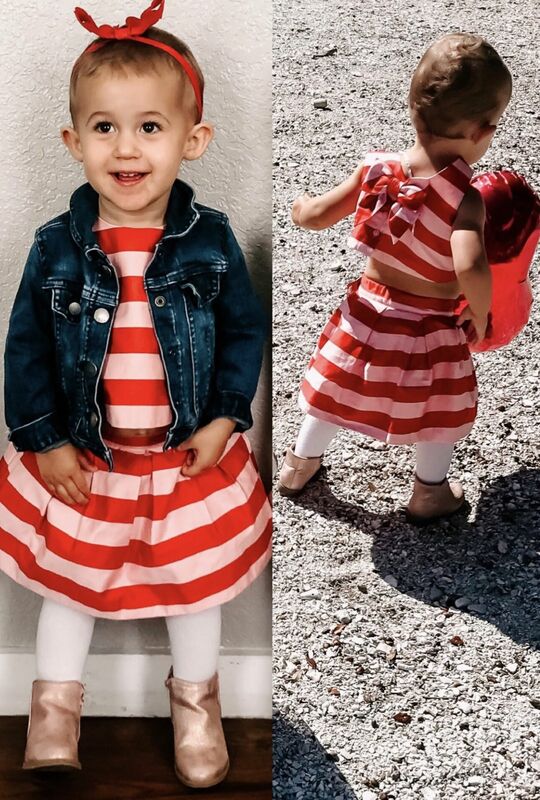 Piper (Brigid and Shane Saah’s little fashionista) was spotted wearing the cutest Janie & Jack set at Anna Buchanan’s Valentine’s Day cookie decorating party at The Cookie Cottage. The satin material, the perfect red and pink combo, the little bow detail on the back—seriously, do they make this is in my size?! Not to mention the entire look: a staple denim jacket and sparkly pink booties—this little girl has style. 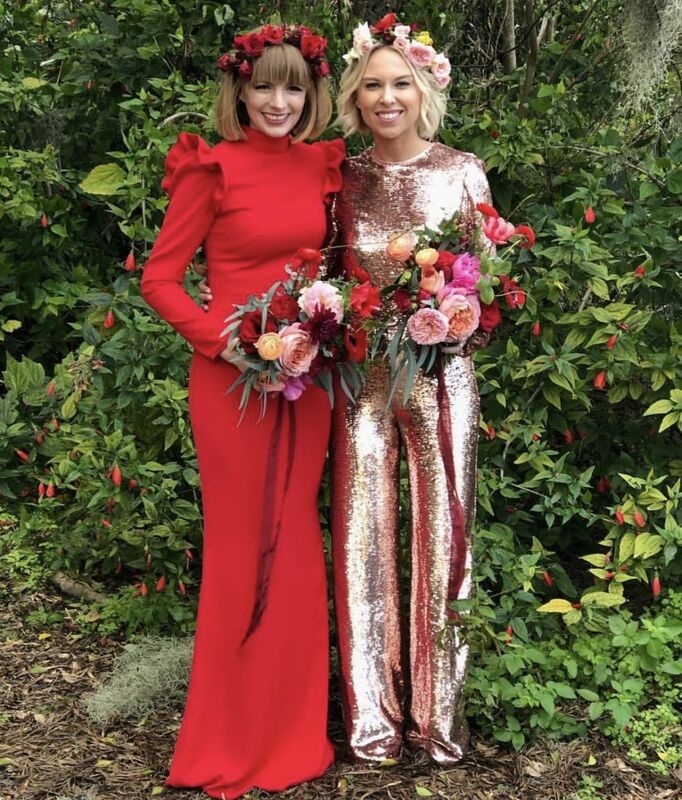 Here's Liz, who owns Influence Style, in a stunning rose-gold sequined jumpsuit, and Camilyn Leavitt in a show stopping red gown (both custom Camilyn Beth designs, of course). The two were bridesmaids in their friend (and local artist) Shannon Kirsten’s wedding, and I just can’t get enough of these beauties in those colors and stunning fabrics.